Maze - Games Without Wifi gives players a new feeling in the maze game. This is a game of skill and patience. The difficulty gets harder the further you go. # Firstly, touch your finger on the character. # Secondly, swipe your finger, you can: swipe left, swipe right, swipe up and swipe down. # Finally, bring the character to the destination. You will play a blue knight who is very smart, brave and patient. You will be trapped in the maze and with your smart brain with fast observation you will have to find the right path to escape the maze. Let become the legendary knight who can overcome every maze, nothing can make you difficult. Maze - Games Without Wifi is a fun and classic addictive labyrinth game. 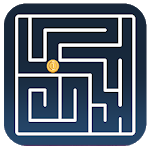 Enjoy this brain exercise with more than 100 free labyrinth, the highest amount of maze you'll find in any logic labyrinth game, worth hundreds of hours to keep your brain fit! 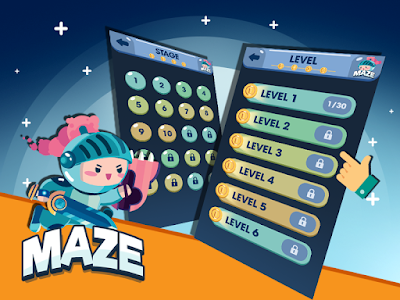 You may have played a lot of labyrinth games, but Maze - Games Without Wifi promises to give you a new experience with eye-catching graphics, lively sound and a clever maze layout. After a day of hard working, playing this game is an effective way to relieve stress. To control the character, you just need to touch your finger on the character and swipe your finger towards the direction you want to move the character to. It is very easy to play, right? GET READY TO CHALLENGE YOUR BRAIN WITH Maze - Games Without Wifi ! #This game is an offline game. #Designed for tablets & phones. #Minimal and retro 2D graphics. #Easy mazes for kids and hard labyrinths for adults. #Each level has 25 stages. #You should determine the correct path before move the character. #Try to pass the maze for the shortest amount of time. Let play and feel Maze - Games Without Wifi, you will be one of the legendary knights and put your name on the history of humanity. Not convinced yet? If you like these games, you’ll like Maze - Games Without Wifi for sure! Brain Puzzles Tease your brain daily. Board Games Play with your friends or family. Use planning skills and make a good strategy to win. 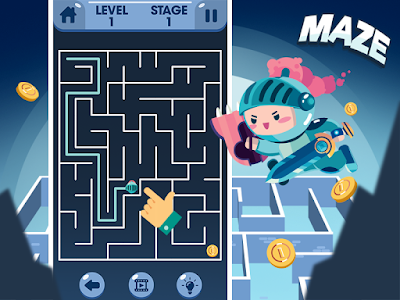 Mazes & More Discover all the gameplay modes and easter-eggs and, well, finally find the way out. 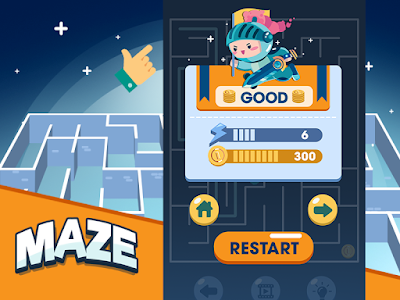 Maze - Games Without Wifi is a free game and this game is for anyone from children to adult. Let download and enjoy this game! Similar to "Maze - Games Without Wifi"